As per an article by New York Times, today workers in a manufacturing plant produce 47% more than what they did 20 years ago. Traditional manufacturing is not what is used to be even a decade ago. Technology is having a profound effect on the way a product is produced, manufactured and distributed. With the advent of robots, machine learning, 3D printing, and specialized software etc. in many cases human intervention is limited to just pressing a few buttons. These technologies are bringing a paradigm shift and changing the face of the manufacturing sector. In the coming years, this sector is likely to depend even more on technology to deliver the experiences their customers demand of them.Clearly, swimming with the current helps a swimmer reach the destination faster – swimming against it, however, is harder, and often an invitation to disaster. Similarly, leveraging the power of the latest tech trends will help manufacturing organizations in reducing costs, increasing efficiency, and enhancing their flexibility for greater business impact. Here are a few tech trends that look set to transform traditional manufacturing, as we know it now. According to Forrester, the investment in Artificial Intelligence by the manufacturing sector is likely to increase by more than 300% in 2017 as compared to 2016 – that’s a lot of belief! No longer is AI limited to one sector of the manufacturing business. From the product design process to the shop floor, and to logistics, AI is contributing and increasing the efficiency of the manufacturing plant. Decisions that earlier needed human intervention are now being taken by “machines” based on an insightful analysis of the masses of data at hand. Reactions are faster and projections are better. Artificial Intelligence is changing the realm of the game because it provides real-time knowledge of the factory status to the managers and product status report to the workers. Today, manufacturers are still only coming to terms with the limitless possibilities presented by the application of 3D printing technology. Since its inception, the technology has captured the imagination of the market. Within a few years, 3D printing has evolved so much that it’s now possible for the companies to produce any component using plastics, metal and even human tissue. It is helping manufacturers reduce the material used in production and reduce the incremental unit cost. Using such process a manufacturing unit can seek to save 60-70% of the material that may otherwise end up as scrap, and a considerable amount of the time and effort involved in setups and equipment, jigs, fixtures and the like. 3D printing in evolving at a rapid pace – stay tuned for exciting development here! 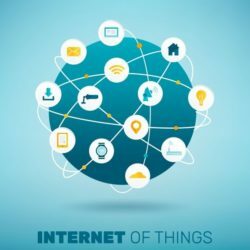 IoT has come as a boon for the manufacturing sector. 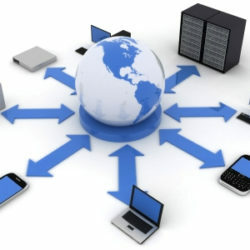 It allows interaction between the devices that are connected to each other within an existing internet infrastructure without the intervention of a human. The devices can talk, interact and take critical signals from each other just like workers. This is also called M2M (or Machine to Machine) communications. Once a device detects an issue somewhere in the manufacturing plant, it immediately signals the other connected devices. This reduces the downtime, improves the pace of resolution, increases product quality, and eliminates bottlenecks from the manufacturing. Although other industries have whole-heartedly accepted cloud computing, the manufacturing sector has been just that bit apprehensive because of security and connectivity issues. Cloud computing is primarily helping companies who have manufacturing plants distributed across various geographical areas. With cloud computing, sharing of data is easy and quick – across locations, teams, and functional units. This improves the quality, accelerates the production and reduces the overall cost incurred in IT infrastructure. Manufacturers who use cloud computing can easily and quickly respond to competitive pressure and market trends. You can expand your business without having to integrate and expand IT infrastructure. This minimizes the risk and reduces the capital investment to a great extent. It’s now widely accepted that manufacturing companies can significantly enhance their productivity and efficiency using technologies that allow them to collect, process and measure data in real time. This is where Big Data and Analytics is playing a major role already. This is helping manufacturing companies make better decisions about key areas like stocking spares, defining preventive maintenance schedules, and predicting the possible defects and snags. This has a significant impact on reducing the downtime of the plant and cost. In the case of issues, Big data and analytics allow an organization to diagnose the cause of malfunction based on the analysis of data that it generates and to address possible ramifications more effectively. Tom Peters said, “Almost all quality improvement comes via simplification of design, manufacturing, layout, processes, and procedures.” Today advanced technologies are the driving force behind the growth of the manufacturing sector and in the future, these technologies will play an even more crucial role. As new technologies make their place on the shop floor a manufacturer will have to adapt to survive in the competitive world. Change is inevitable and the smart money is on changing with the tech trends.